If there is such a thing as a ‘best practice approach’ in public policy the Nordic model would probably be it and, at any measure, a useful benchmark for Britain to move towards. First published on September 19, 2016. 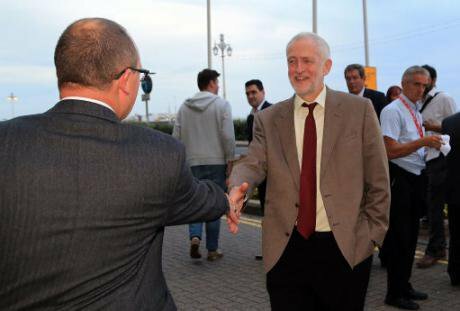 Labour Party Leader Jeremy Corbyn at the TUC Congress,September 2016.Gareth Fuller/Press Association. All rights reserved.As a Scandinavian who has spent more than a decade living in Britain, nothing has made me feel more foreign than observing the current Labour leadership election. From his style to his policies Mr Corbyn would, in Norway, be an unremarkably mainstream, run-of-the-mill social-democrat. His policy-platform places him squarely in the Norwegian Labour Party from which the last leader is such a widely respected establishment figure that upon resignation he became the current Secretary-General of NATO. Yet, here in the United Kingdom a politician who makes similar policy-proposals, indeed those that form the very bedrock of the Nordic-model, is brandished as an extremist of the hard-left and a danger to society. So who is right? Is the Norwegian Labour movement some dangerous extremist group that unknowingly has occupied the furthest leftist fringe of the political spectrum? If so, a casual glance at the UN’s Human Development Index would suggest that Norway certainly has not suffered as a result of successive Labour-dominated governments. Or is it, perhaps, that the British media’s portrayal of Corbyn, and by extent his policies are somewhat exaggerated and verging on the realm of character assassination rather than objective analysis and journalism? It is probably not without reason that a recent report by the European Broadcasting Union found that the United Kingdom among all of the EU member-states (+Albania, FYROM & Turkey) scores the lowest in levels of trust in written media. The most common refrain among the British political commentariat is that Corbyn is unelectable. That no matter how many members his election as leader has drawn (currently trebled Labour membership from ca. 180k to 560k), or how popular his political rallies are, the Labour Party under his leadership is condemned to lose the 2020 general election. The premise of this analysis seems to be based on the assumption that the British electorate are permanently and irredeemably ‘small-c conservative’ and that no political party can win without reaching out to this elusive centre-ground of British politics. Whereas this strategy might have accounted for Tony Blair’s electoral victories in the late-90s, it becomes less persuasive when applied to the post-2008 era. The socio-economic structural changes Britain has undergone since the financial crisis has severely discredited the neo-liberal orthodoxy in both academia and amid the general public, as the trend of widening income and wealth inequality has left far more economic losers than beneficiaries in its wake. I would suggest that tapping into this growing demographic among an increasingly polarised electorate makes Mr Corbyn’s distinctiveness as a social-democratic candidate an asset rather than a liability. Another moniker Mr Corbyn’s detractors often apply to his policies are that they derive from some so-called extreme of the political spectrum, that they are ‘hard left’ and ergo hopelessly idealistic and unworkable. To a Norwegian observer such as myself I find this characterisation puzzling. Mr Corbyn’s policy-platform, particularly in regard to his domestic policies are largely identical with the Norwegian Labour Party manifesto. Railway nationalisation, partial or full state ownership of key companies or sectors, universal healthcare provisions, state-funded house-building, no tuition fee education, education grants and loans to name but a few, enjoy near universal support among the Norwegian electorate, in fact, they are so mainstream that not even the most right-wing of Norwegian political parties would challenge them. And this is not only the case in Norway, but has been integral to the social-democratic post-war consensus in all the Nordic countries. Judging by almost any measure of social indicators these policies have been a success, the Nordic region enjoys some of the world’s highest living standards and presumably should be a model to be emulated rather than avoided. Obviously the Nordic region is no earthly paradise and there are cultural, economic and historical differences between the UK and Denmark, Finland, Iceland, Norway and Sweden, but if there is such a thing as a ‘best practice approach’ in public policy the Nordic model would probably be it and, at any measure, a useful benchmark for Britain to move towards. Whereas in Norway there is a high-degree of media ownership fragmentation, they are sometimes owned by not-for-profit foundations and all receive state subsidies based on circulation, which in turn ensures a modicum of objectivity and plurality of opinion. Their British counterparts are often highly partisan and espouse a largely right-wing editorial agenda. In contrast, British media ownership is highly concentrated: 70% of national newspapers are owned by just three companies and a third are owned by Rupert Murdoch’s News UK. Since 51% of leading British journalists are among the privately educated 7% it is not surprising that they have internalised an ideology that serves their own privileged class interest, consciously or not, rather than that of the wider population. This raises the question of whether British politicians should solely be reacting to the agenda of the conservative-oriented press, or that they themselves should set out visions for how society should be organised to better serve the interests of the electorate. I would suggest the latter despite what self-proclaimed political ‘realists’ might think. Imagine what this cadre of ‘centrist’ commentators would have to say about a radical project such as the NHS today had it not been introduced in the late-1940s. The same goes for other widely cherished national institutions such as the BBC. For democracy to function, a plurality of views must be offered a platform and indeed also receive thorough scrutiny by the press. Instead, the British media has focused its reporting on the personal characteristics of Mr Corbyn, usually in rather unflattering terms, and shown scant or shallow regard to his policy-agenda. Equally, a comparative approach would be useful to broaden the British political debate instead of simply comparing his candidature to that of Michael Foot or Tony Blair who stood under very different socio-economic conditions. What a direct comparison of Britain with other similar European states would reveal is both the dire condition of British living-standards for populations particularly outside London and how conventionally social-democratic Mr Corbyn’s policies are. You might agree or disagree with his political position, but it is still far too early to discount Mr Corbyn’s potential success at the next general election – particularly if he manages to mobilise support from the ca. 40% of the electorate who regularly fail to cast their ballot in elections. Indeed, just as few might have recognised the socio-economic and ideological structural changes which converged to underpin Margaret Thatcher’s meteoric rise in the early-1980s, we cannot exclude the possibility that we are witnessing the social-democratic mirror image of that process today, with a prevailing wind from the left rather than the right.